TripAdvisor has decided to remove its new ratings system following criticism from hospitality businesses. The review website introduced a new scoring system out of five last week but the initiative immediately came under fire. Reputation management company KwikChex said it had been inundated with concerns about the new ratings systems, even from people who had always supported TripAdvisor. 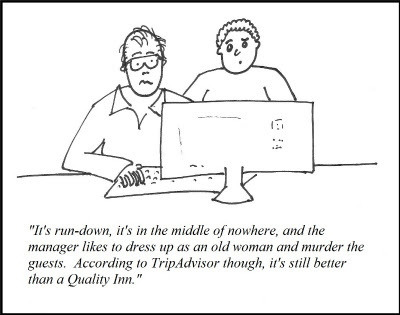 "It seems astonishing that at a time when there is rising concern about deception and malice on the web and a growing desire for greater reliability and an end to anonymous bullying, that TripAdvisor should apparently introduce the least diligent system yet and produce greater levels of mistrust and distortion," said KwikChex chief executive. Initially TripAdvisor defended the new system, but later on Friday it contacted TravelMole to confirm that it has decided to withdraw the system until it has done further work.